The idea of staying in the family home may be a comforting thought for people heading into retirement, but for many it’s probably a bad idea.The median two-person household entering retirement has a net worth of a just over $300,000.Despite having limited resources available to them, many move to a less-expensive home or even tap their home equity for income after paying off the mortgage. People have a serious behavioral resistance to touching their savings or home equity in retirement. More retirees need to think about using their house for income in retirement.Many should also consider reducing their housing costs to help stretch their limited savings.The housing ideas involves the intellect and the emotions. Most people think bigger so that they can better accommodate their family,the housing scenarios such as staying in their current home, renovating it or moving to a bigger or smaller home.The other option is a reverse mortgage where people have spent decades paying off their mortgages where they have provided much needed income. 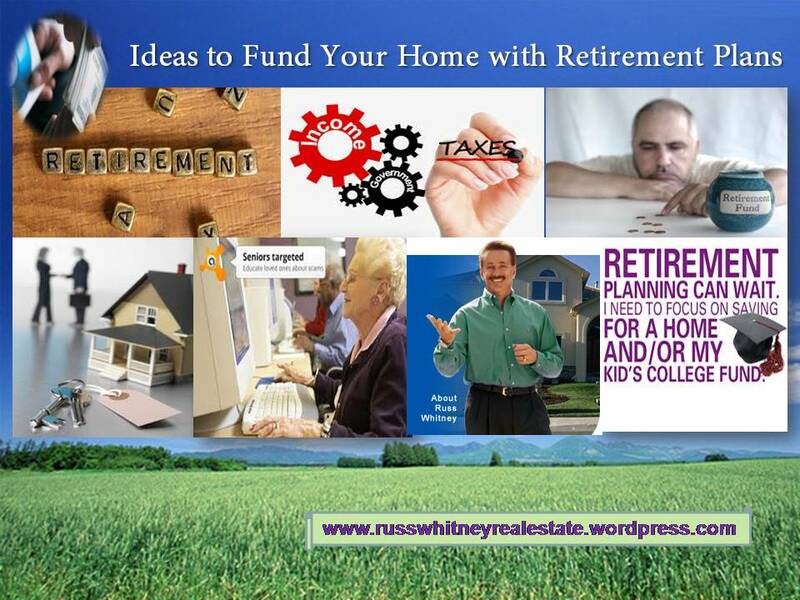 This entry was posted in Business Growth, Home Equity Plan, Income Rates, Mortgage Rates, Raise Income with Fund, Real Estate, Russ Whitney-Retirement Tips and tagged Best Retirement Plan, Business Income, funds, Housing Scenario by Russ Whitney. Bookmark the permalink.